Some people are asking the questions related to AutoCAD file, such as "how to recover AutoCAD files", "how to recover AutoCAD file unsaved", "how to open an ac$ file in AutoCAD", "how to do AutoCAD file recovery on Mac/Windows". There are so many questions about AutoCAD. Here in the following, I'm going to explain how to open the autosave AutoCAD file and how to recover deleted AutoCAD files on Mac or Windows easily and efficiently. Deleted the AutoCAD file intentionally or unintentionally. AutoCAD files lost due to formatted the drive. Be infected with virus and the anti-virus software delete the AutoCAD file automatically. No matter what reason caused the AutoCAD file lost, the very first thing you need to do is to stop using your computer right away. Any further operation on the computer will cause data overwritten, which may result in the AutoCAD file lost forever. And you need a to find the right AutoCAD recovery Mac or Windows solution to solve the problem as soon as possible, say recover AutoCAD file unsaved or open the sv$ file in AutoCAD. Check out the following ways. First, please know that every time when you create an AutoCAD file, with the .dwg file as the extension, the software creates a backup file with the .bak extension. In this case, if you haven’t had the AutoCAD file saved, you need to check out whether there is a file named as what the .dwg file named in the same location. If it is there, please copy it to your desktop, exchange the extension .bak with .dwg and confirm the operation. If there isn’t any AutoCAD file backup, and you want to recover AutoCAD file Unsaved, please try to find the .sv$ file. It is the Automatic Save file, which is enabled by default. It doesn’t save to the current drawing, but it may contain all the elements you need. You can recover the AutoCAD file unsaved by using the auto save file. Replace the file extension .sv$ with the .dwg extension. Please note it is also the answer for how to open the .sv$ file. Methods introduced in part 2 works for unsaved AutoCAD file recovery. However, if you lost or delete AutoCAD file intentionally or unintentionally, finding them missing or lost, you need the help of a profession Windows or Mac recover AutoCAD file software. Here, I’d like to recommend you try iBeesoft Data Recovery, professional, trustworthy and efficient tool. 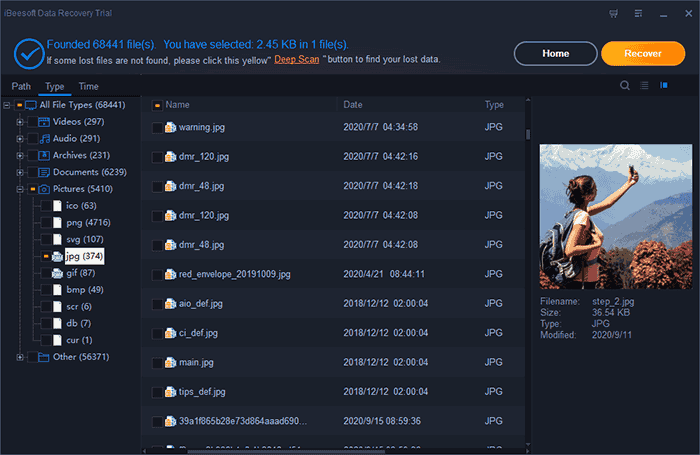 It will scan your whole computer or external hard drive for the deleted or missing AutoCAD files, letting you preview the files and recover needed ones selectively. Currently, it has separate Windows and Mac versions, making it one of the most popular data recovery tool over the internet. Here in the following, I’m going to tell you how to use the AutoCAD file recovery software to recover the deleted or lost AutoCAD Files. Click the download button to get the AutoCAD file recovery software. Both Mac and Windows versions are available. Please choose the right one that matched your computer operating system. It is virus free. For Mac users, please make sure you’ve set up your computer system preference, letting it install the software from trusted resource, besides App Store since the software is not submitted to Mac App Store yet. Install the software on your computer. Launch the AutoCAD file recovery software. From the very first window, please select the file type to scan, I mean the "Pictures", and unselect other types of files. 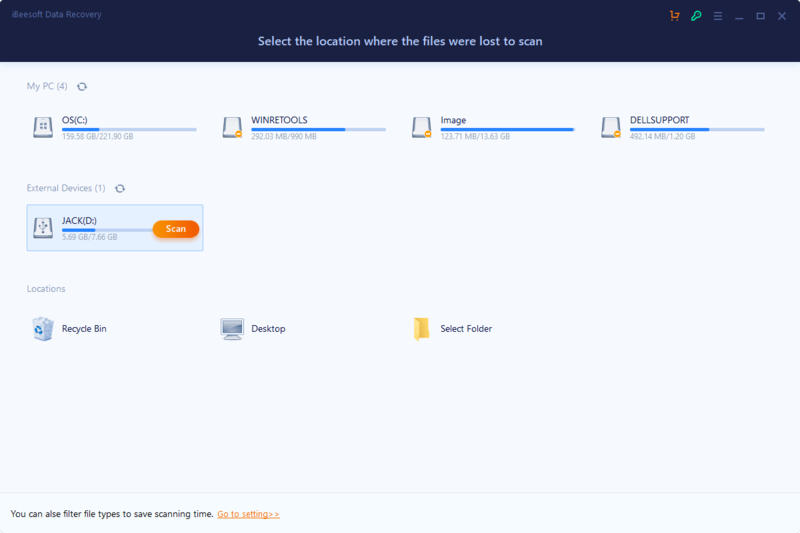 It will save your time for the scanning process if you’ve unselect the other file types. Click "Start" to recover deleted AutoCAD file or recover lost AutoCAD files. In the next new window, you’re supposed to select partition or drive to scan. If the AutoCAD file was saved to an external hard drive, please connect the external hard drive to your computer first. After selected, click "Scan" to let the software to scan for the deleted AutoCAD files. When it finishes the scanning process, you can see all found files in the result window. Now, check out the AutoCAD files. Find the right one and select it, and click "Recover" to save and recover AutoCAD file on your computer. See, that’s how to recover the AutoCAD file on Windows/Mac. If you’re not content with the scanning result, try the "Deep Scan" mode in the result window. It scans deeper for the deleted AutoCAD files.